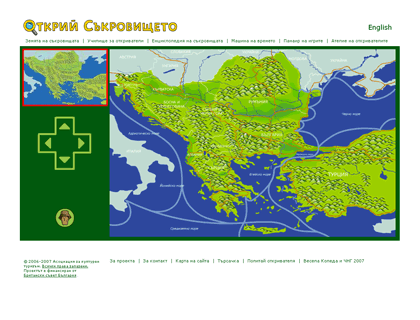 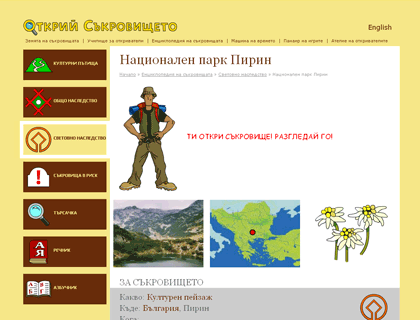 Treasure Quest is a project of the Association for Culture Tourism, funded by British Council Bulgaria, aimed in revealing the culture heritage of the South-East Europe to the children audience. 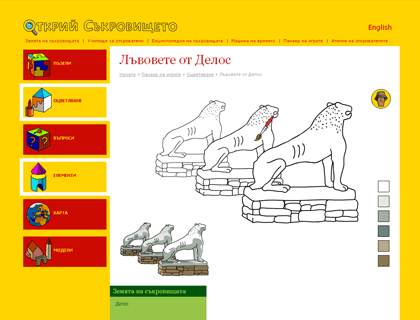 The users will be able to learn lessons, to explore the treasures using an interactive map, to play games, and to meet other children works on the culture heritage. 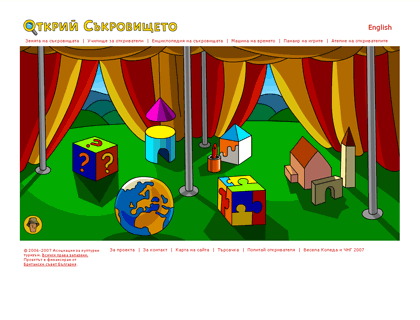 The fully-illustrated website will be also accompanied with an interactive promotional CD, containing the entire website content. 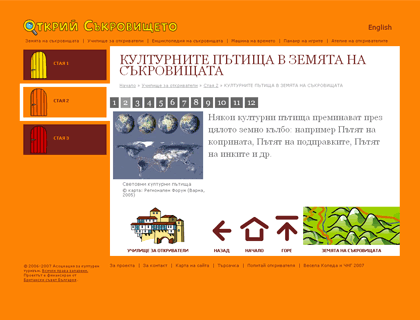 The website provides the back-office with a complete CMS for the entire website's content.